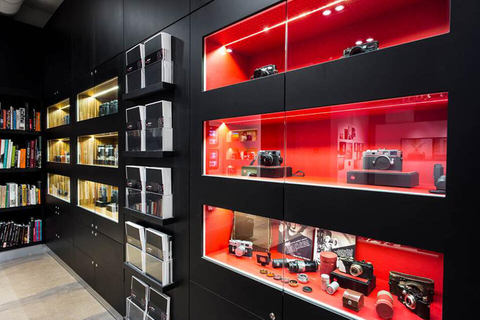 Leica Store Warsaw was established in 2009. Initially located in Blue City shopping centre. In February 2014, it moved to the new location – Mysia 3 and is now situated in the heart of the city in the exclusive shopping gallery “Mysia 3” along with other high-end brands. Leica Store is a place for photographers and photography enthusiasts. It covers the area of over 200 square metres and is accompanied by the bookstore and Leica Gallery that exhibits contemporary - documentary and artistic photography. Come and visit us. Have a cup of coffee, enjoy good art and reading, take a look and finally buy the most suitable for you Leica product. Our staff will always offer you a professional assistance.